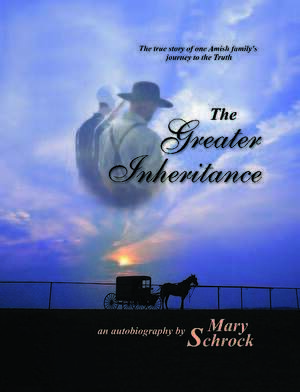 Mary Schrock had grown up a devout insider in the cloistered world of the old Amish order. Strictly abiding by rules and regulations of the Amish Church, it would not be until light of God’s truth pierced through the darkest region of her soul that she would discover salvation through Christ alone. Unable to remain in a religion that denied salvation by grace alone, Mary and her husband would pursue their new found religion in Christ. Rejected by those they loved most, and cut off from all earthly inheritance, would they continue to trust the One who promised to never leave them, nor forsake them? In the end, could they rejoice in a much greater inheritance?